Finding a product to sell on Amazon isn’t easy. You’ve got a river of choices to sift through and perhaps everywhere you turn there’s a guru telling you to do this and that - but it’s information overload. Today, I want to put together the essentials for finding a suitable product to sell on Amazon. A no-nonsense guide that’s going to tell you what makes a good product to sell and what makes a terrible product. Your ultimate decision should be to buy low and sell high. This is the cornerstone of e-commerce. Before moving forward, I just want to clarify that this strategy is meant for those looking to private label a product. This means we’re going to find a product that’s already being made and add modifications to it, based on our research, then produce it under our own brand. Many times, our customers tell us they’ve been looking at products for months now and can’t find anything suitable. The usual reply is, “what criteria are you using?” Some of them reply with metrics, others tell us they’re browsing. Browsing is what shoppers do, you have to act like a sniper - narrowing your focus and being precise. A sniper feels the wind in their hair and watches their breath. You have to be aware of your surroundings and not just the metrics. The following checklist is going to help you narrow down your choices before you even start looking, have these ranges set in your mind before you begin searching. Keep in mind that this is only one approach of many, but it’s the one we’ve found the most success with. The reason we like this number is because margins are built in most of the time to provide some profits, but also prices in this range don’t ring any alarms and people aren’t as hesitant to make a purchase here. Even though the cost of transportation has decreased a lot in the last decades it is still a very important point for choosing the right product on amazon. Remember that you have pay for transportation when you order the product from your manufacturer and also to Amazon’s warehouses for distribution. The bigger and heavier the product, the more you will have to pay on both ends. Look for products that are small and lightweight. A good rule of thumb is to look for products that can be fit into a shoebox. If you’ve done any bit of research on Amazon, this is probably the time when your eyes light up. If not, just to fill you in, the Best Sellers Rank (BSR) shows you how well the product is selling within its main category. A BSR of 1,000 means that the product is the 1000th best selling product within its main category. We recommend you look at products with a BSR between 1,001 and 10,000. The reason for this range is because therein lies a sweet spot between competitive and non-competitive. There are millions of products sold on Amazon, but even the products that sit at the 10,000th BSR level are somewhat successful given how large the marketplace is. Each category has a certain depth and in our software, Amasuite, we highlight this in the opportunity score. We show you where the BSR for a certain product sits compared to the overall depth of all products in that same category. Giving you an idea of how well the product is going based on that specific category - not just by the BSR number. In other words, we look at the total products available in that category and then what percentage a specific product lies in that pool. This one should be obvious. The more fragile your product, the more likely is it to get damaged during transportation. As you can imagine, customers won't be happy if what they get is a broken product. You want to avoid products that are fragile and easy to break, such as glass. Aim for products that don’t instantly break if they are dropped. The same goes for electronics. With electronics, experience shows that you will usually have lots of defective products within your batch. This can lead to negative reviews and a higher return rate. Save yourself the headache and stay away from electronics, there are tons of other and way more attractive products out there. It’s ideal to try and find a product that is simple, not only to produce but also to use as a consumer. A frustrated customer can come from many things and it’s another reason to shave off a positive rating. I couldn’t tell you how many times a product that’s easy to assemble has been the aspect that stood out the most. Make things easy on yourself, that’s all. Do you know the difference between a cash flow business and a venture funded business? It’s a concept I first heard from Ryan Moran and it’s stuck with me ever since. Think of a cash flow business like a small business, but much more. The reason why so many third party sellers have launched successful products there is because it’s the leanest way for going-to-market. Concentrate on getting your profit margins up at least 50%. This will give you wiggle room to compete on pricing (hopefully you don’t have to) and it’ll give you some cash to reinvest for inventory and advertising. First things first, try and get familiar with the Amazon FBA calculator. We’ve built this right into the Amasuite software so you can open it up directly from there too. The most common way to figure out improvement to make on a product is to read the reviews of the product. Try and find a product with mixed reviews. The more the merrier. Mixed reviews means finding both positive and negative reviews, usually correlating to a 3 star average. The biggest negative to this review strategy is that it’s enormously time intensive. Some popular products have THOUSANDS of reviews. I don’t think anyone really enjoys reading that many reviews. In any case, that’s where our Review Analyzer comes in. 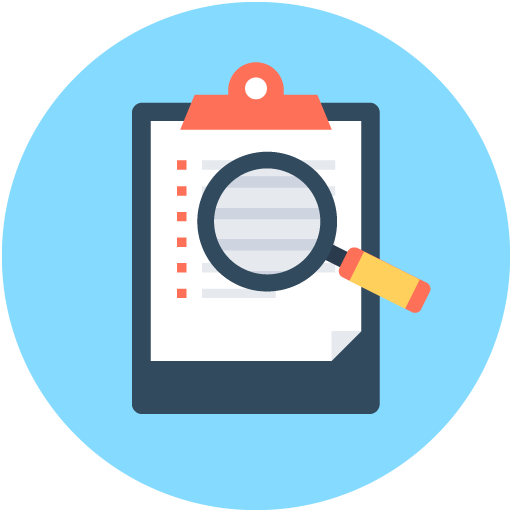 The program allows you to read and make product modification decisions quickly by aggregating the most commonly used phrases within the reviews. For example, if you’re looking at a BBQ brush and the Review Analyzer says 83 out of the 2000 reviews mention “is too short” - then you have something to work with. Avoid selling a product that is being sold in the very same version from tons of other sellers. Others, especially bigger sellers with more financial power, can easily undercut your price and you might end up with either no sales or no profit. Use Amasuite’s Review Finder and find those products with modifications that are clearly needed. Although, you may have heard people succeeding with ‘me-too’ products in the past. It’s not the way it works anymore - Amazon is more competitive but now you’ve got the tools to put you ahead as well. Create a moat around your brand and product. It’s the difference between you reaching your customers first or your competitors. Google Trends is a great tool for discovering demand cycles. Type your product into the search bar and see if the graph is a steady and consistent line. Or whether the line has many peaks and troughs. Consistent demand throughout the year is helpful in predicting income and helps in all areas of your Amazon business. Industrial equipment is usually a good example here. Look for the ability to expand beyond this product as well, especially if it’s seasonal. You can expand your product line vertically (serving the same market) or horizontally (serving a different market, but positioning the product differently. There are three aspects of the product research journey: brainstorming, finalizing, and sourcing. A great way to get inspiration and brainstorm for new product ideas is to check out products that are already selling successfully on Amazon. Head over to the Best Sellers List on Amazon and find the top 100 items for each category. This is the go-to place to start, but keep in mind that Amazon changes these listing every hour. Avoid looking at categories that contain many moving parts or are fragile in nature. Categories like ‘scientific’ and ‘electronics’ would be good to avoid, if this is your first private label product. Remember - simplicity is the key. One way you’ll want to organize data is by the number of reviews and also the ratings. You can do this easily if you have access to the Top Product Analyzer in Amasuite. Every time someone conducts a search on Amazon, a little window opens up below the search bar and some suggestions come up to help you. Well, these search bar suggestions are exactly what you should be analyzing to find out what’s popular. Amazon is only going to make those suggestions if their highly correlated with the original words you typed in. Those original words are known as your ‘seed keyword’. It would be ideal to search for popular search suggestion from Amazon, but manually - you’d have to type in something like “BBQ a” and then “BBQ b”, and so forth. This would help you collect all of the suggestions from Amazon, based on the first letter of the next word. Which would take a massive amount of time to complete - but that’s what people have done. 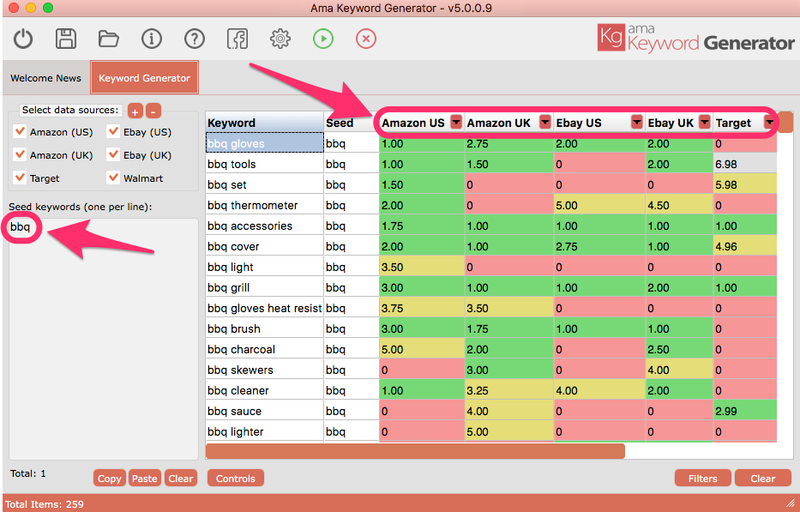 Our solution is use the Keyword Generator in Amasuite. Use this program by searching for your seed keyword (BBQ for example) and then press start. 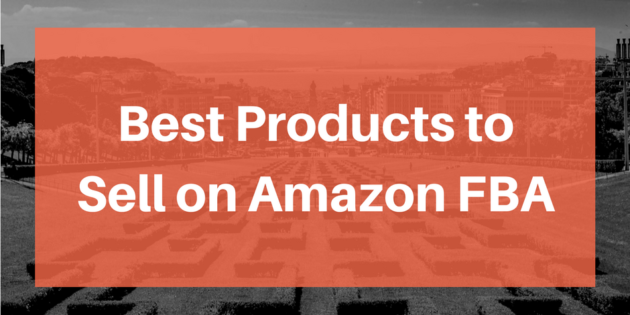 You’ll get back tons of popular suggestions from Amazon in just a couple seconds. The other obvious solution to prospecting product ideas is to just search your keywords into Amazon and sift through the results. You know this is going to take a long time to organize, so we’ve created the Search Analyzer to help you collect and filter data quickly. Ali Express is like the child of Alibaba. Where you’d head over to Alibaba for wholesale manufacturing, you’d go to Ali Express for small orders with not as much customization. The prices on Ali Express are better than most ecommerce sites because most of the sellers are from China, however, it’s also a great place to find product ideas. Ali Express has their own Best Sellers List and you can apply the same strategy as you did with Amazon. However, Ali Express doesn’t have a Best Sellers Rank, they just have store ratings and product ratings. 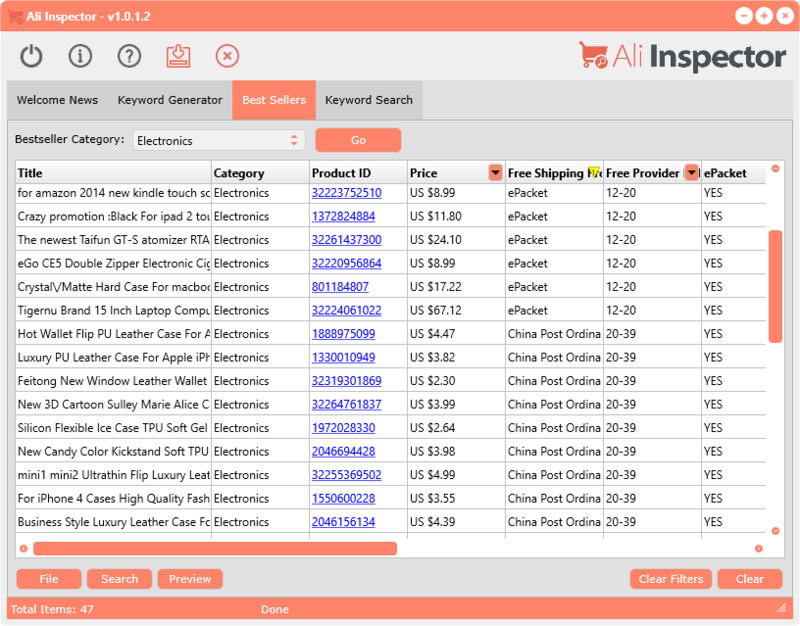 We’ve created and included a new app into the launch of Amasuite V5 and it’s called “Ali Inspector.” It’s 3 tools in 1 and can search the top sellers lists, Ali Express itself and generate keywords to help you find more opportunities based on popular searches. Make sure your product aligns with the criteria on your checklist. Look for modifications to make your product more appealing to your potential customer. Use the review analyzer to find the most commonly said phrases in reviews. There are two things you’ll want to make sure of when narrowing down your choices. Make sure the products fall into the criteria we listed above. The product modifications are clear to make based on demand. The first point is self explanatory, however, this is a great time to revisit the importance of choosing product modifications from reading reviews. 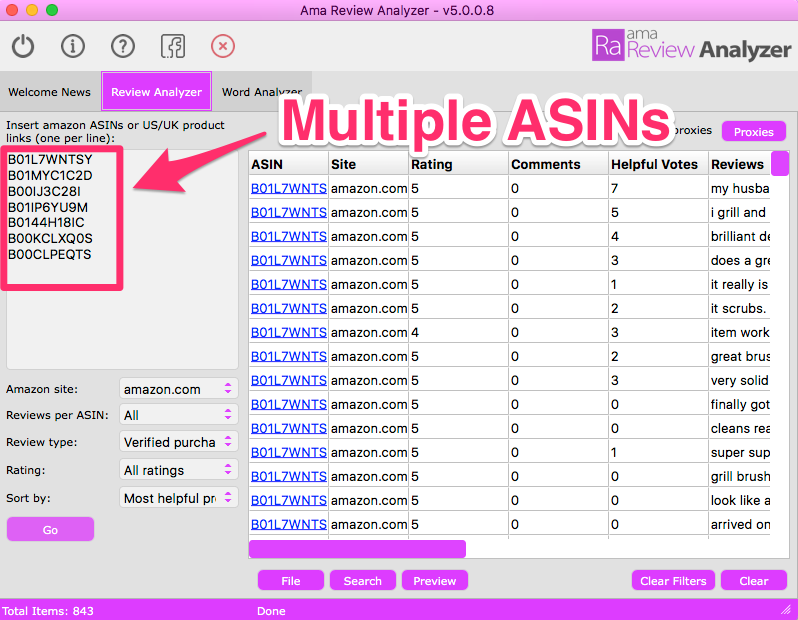 Use the Review Analyzer from Amasuite to collect review data from all of your potential competitors for a certain product. If you are looking to private label a BBQ brush, then find all the top 10 BBQ brushes available on Amazon and load them up into the Review Analyzer. This will give you an aggregate of the most commonly used phrases from all of the reviews, leading you to the best decision. Look for products that have a clearly defined pitfall across the board and innovate from there. Leverage platforms such as Alibaba, Ali Express, ThomasNet and Google to find the right manufacturers for your product. We go into greater depth of the sourcing process in this guide for beginners. However, we suggest trying to find a closely matched product on Ali Express first using the Ali Inspector software. This is possibly one of the most cost effective ways to test your niche quickly. The checklist is something you should try to keep at the top of your mind while searching for products. It’s pretty easy to get lost in the research, so a quick tip is to stay organized with a spreadsheet. The Top Product Analyzer is likely your best bet for starting from scratch when looking for the best products to sell on Amazon. When you narrow down your product choices, make sure to utilize the Review Analyzer when deciding on high demand product modifications. Hopefully this process is going to give you as much leverage as possible. Amazon is an exciting place to launch products so remember that your highest chances of success are to reverse engineer what’s already working and go from there. Pour yourself a nice mug of coffee and good luck product hunting!